One of the great conflicts of watching Netflix’s new series Delhi Crime, is whether to recommend the show to others or not. For how can one? How can one in all good faith recommend a show that is challenging to watch, even potentially triggering, in and of itself; which then carries the added burden of being based on one of the most gruesome and most significant criminal cases in recent Indian history? But then, perhaps Delhi Crime is something that must be watched precisely because of what it’s about, and more importantly, the perspective we see the story from. On 17 December, 2012, India woke up to a piece of news that would go on to completely change the way we collectively viewed crimes against women. The Delhi gangrape sent the country into chaos for weeks. Politicians went into an attacking or defensive overdrive, depending on which side of the aisle they stood; the media threw every semblance of sensitivity and caution to the wind, barking out every opinion and purported fact that flew past their eyes and ears; and the public took to the streets, demanding the quickest and strictest form of justice. Shefali Shah and Rajesh Tailang in Delhi Crime. What we forget is that in the wee hours of the day, well before India even woke up, the mission to find and capture the accused was already well underway. Encumbered by ruthless misinformation, the ones who got overlooked in the noise were the police, and how they went about hunting down the six perpetrators of the crime, so they could be brought before the law to face the consequences of their heinous actions; all within mere days of the crime being committed. That’s the point of view we see in Delhi Crime. It’s a show that reminds us of something that we’re all perhaps aware of in theory, but doesn’t seem to reflect in our attitudes - the fact that our policewomen and men are mere humans, with families, personal worries, debts, existential crises, the works; not to mention the fact that our metropolitan forces in particular are severely outnumbered and overworked in the quest to do what’s ultimately just a job, albeit one like no other. The show begins on the morning of 16 December, before the ghastly crime, briefly introducing us to the cops who will eventually be thrust, over the next seven episodes, into a relentless manhunt that took the Delhi police outside Delhi - from rural Rajasthan to the Naxal-infested regions of Bihar and Jharkhand. The most striking aspect of the show (apart from the characters, which I’ll get to) is its treatment and aesthetic. There are moments throughout the show where it feels almost like a documentary. There’s a quiet maturity with which it unfolds, with long takes and piquant silences. Make no mistake, while the show has a morally upright beating heart, it also has the sharp mind of an immensely bingeable TV series. The police procedural unfolds briskly, as leads are discovered, chased down and brought to their reasonable conclusion with professional precision, marred only by the practical realities of police work. The show doesn’t aim to glorify or whitewash the efforts of the police; rather, it provides us a glimpse of the fact that law enforcement as a whole is aware of the weight they’re carrying, when they set out to protect the public every single day. So there are all manner of cops who work on the case - from selfless ones to self-serving ones; from those that take their role in society seriously, to those who stumbled into the profession only by chance, but still don’t have the option to be lax on the job. Delhi Crime is no easy watch. In fact, it should come with a trigger warning. Despite the risks, it manages to maintain a tight balance between holding back on what the audience is exposed to and going all in as the grisly details of the case keep tumbling out. In fact, this balance - the constant edge you’re on while the pieces of the puzzle are put together and the event is reconstructed logically - is a distinct feature of the show. The visuals aren’t graphic, but the emotions certainly are. 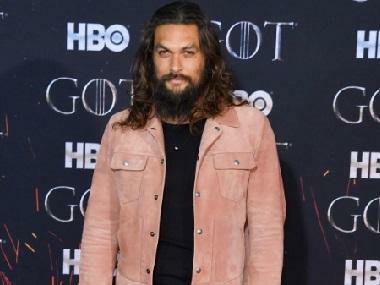 This probably stems from the kind of time writer-director Richie Mehta seems to have spent poring over the case files in the quest to craft his characters and his narrative. It leads to a show that is, at once, an unputdownable watch but an exhausting experience. However, walking with you every step of the way during that exhausting journey are the characters that drive it. Starting from DCP Vartika Chaturvedi (under whose jurisdiction the crime occurs) and downwards, the police personnel we encounter during the show win your heart despite the prevailing context. 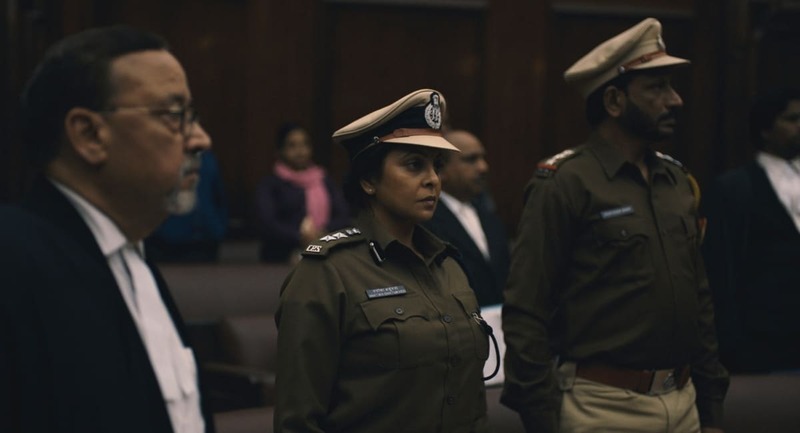 Shefali Shah, who plays DCP Vartika, gives us yet another remarkable performance, as the leading officer on the investigation. It’s a role that requires a tightrope walk between drama and authenticity, and Shefali absolutely nails it. You always sense her simmering under the surface, on the verge of exploding. Yet, she seems to explode at the wrong times, so to speak; until you notice that it’s a pattern. She seems to lose her cool in moments that don’t deserve it because in the real pressure cooker moments, she has to keep her cool in order to get the job done. And what that job is, well, you as the viewer are never allowed to forget. This is an outstanding performance that deserves to be lauded as much as anything we’ve seen recently. Then, there’s Rajesh Tailang, who plays Bhupender - Vartika’s right hand man on the case. It’s a role that’s almost as complex as that of Vartika, and Tailang becomes the character. Rasika Dugal, who plays a young rookie assigned to accompany the gangrape victim and her family through the unbearably harsh ordeal, gives us yet layered performance on the show. Special mention must also go to Gopal Dutt, Anurag Arora, Vinod Sherawat and all the others who play the investigating cops on the show. They give us living, breathing people with their own personalities, united by the seriousness of what their job entails. Then of course, there’s Adil Hussain as the police commissioner, the actor bringing his trademark gravitas in tow. It’s the little details of the show that really hold it up all along. Like a cop who squeezes in, between all the detective work, some time to go through marriage classifieds for his daughter; or the female officers being pushed to the frontline to stand before a protesting mob (perhaps to deter the mob from making an attack, and in the event that they do, to use as an excuse for retaliation - “they attacked lady officers”); or even the fact that until all six accused were caught, the investigating cops didn’t go home. Delhi Crime is bound to make you uncomfortable when you’re forced to reconcile with the fact that you’re binging on the story of trauma faced by a completely innocent person and family, for absolutely no fault of their own. Delhi Crime provides no false sense of closure, if that’s what one is looking for, because there can be none. What it does though, is make you take some time out to appreciate the men and women tasked with protecting us everyday, despite the omnipresent, omniscient ‘system’ that’s out to get us.